After spending 13 years in this great industry myself, here are the most common acronyms and jargon that I can think of. # 1 Associates – Another word for team member or people who are doing the business. # 2 Auto-Ship – An automatic shipment of products that gets sent to you on the same day of each month. # 3 Binary – A type of compensation plan where you only build two teams, a right leg and a left leg. # 4 Business Builder – Someone who joined the business with the intentions of building a big business of their own. # 5 Crossline – People who are in your network marketing company, but aren’t part of your line of sponsorship. # 6 Depth – All of the people under you in your organization. # 7 Dream Stealer – Someone who is negative who tries to bring you down to their level and tell you that you can’t be successful. 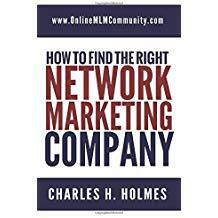 # 8 Downline – Everyone in your group below you (similar to depth). # 9 Fast Start Bonus – Commissions you can receive during your first few months in the business that are an incentive for building the business quickly. # 10 Forced Matrix – A type of compensation plan where you only have so many positions on each level of your team. Examples include a 3×9 matrix or 5×7 matrix. # 11 F.O.R.M. – This stands for family, occupation, recreation and message. It is an acronym used to describe a process of how to initiate conversations with your prospects. # 12 Front Line – All of the people you have personally sponsored into the business. These are the people on your first level. # 13 Group Volume – The total volume in your organization including your personal sales, personal consumption, the people you referred, the people they referred, etc. # 14 Home Party – When someone hosts a party and the distributor comes over to demo the products, give a presentation and make sales. # 15 King Pin – Someone with an organization with tens of thousands or hundreds of thousands of people. # 16 Leg – A group of distributors in a certain line of sponsorship. In most companies, if you sponsor three people you will have three legs in your team (similar to line of sponsorship). # 17 Line of Sponsorship – A group of distributors in one leg of the company from the bottom of the organization to the top (similar to leg). # 18 One-on-One – When you meet with someone face-to-face to explain the business opportunity. # 19 Personally Sponsored – Anyone you sign up into the business yourself. # 20 Points – A value assigned to each product that normally dictates the compensation. # 22 Prospect – Someone who might be interested in the business or products. # 23 Rally – An event designed to motivate and train distributors. # 24 Retail Profit – The wholesale-retail markup on each product. # 25 Show the Plan – This is when you explain the business to someone. # 26 Sponsor – The person who introduces you to the business and signs you up. # 27 Stacking Distributors – Placing people that you sponsor directly under someone else, rather than putting them on your front line. # 28 Tap Root – Building one leg in your group very deep, sometimes known as stacking distributors. # 29 Uni-level Compensation Plan – A compensation plan where you can sponsor as many people as you want on your first level. # 30 Upline – People who are in the organization above you, to include your sponsor’s sponsor, their sponsor, etc. # 31 Wholesale Distributor – Someone who has signed up as a distributor simply to get a discount on the products. There you have it folks. These are some of the most common network marketing acronyms and jargon. What did I forget? If you can think of an acronym that I forgot to include, feel free to leave a comment below and let me know. I look forward to hearing from you. Regarding “dream stealers”, it is remarkable how many people don’t want their peers to succeed. I have always wondered at this, as to where it comes from psychologically. Is the instinct to keep people on the same level that strong? Another thought comes to mind, is being a Wholesale Distributor something that is frowned upon? Or does this depend on which industry one is in? I think being a wholesale distributor is fine. There is nothing wrong with just signing up to buy the products at discount. At the end of the day, that’s probably 90% or more of your team. It really can help people immensely by supplying them with all the many terms and jargon associated with network marketing. I am sure there are more, but at this moment they are not coming to me. Just a suggestion if possible…maybe you could put either a link to this list, or possibly picture it and put it in the sidebar or a location where anyone visiting this blog will see it immediately. By doing so, they can have the ability to understand terminology while they are reading the posts you make. As I run across other terms, I will message you with them so you can add to the list. Yes, these are all good terms to know. Great list of terms you generated and defined here. A good reference for newcomers into the industry so they can familiarize themselves with common used terms for better understanding. I can definitely see myself referring team members to this post so they can have a reference guide of terminology to study. Never really thought about doing this before, but I’m glad you did. Everyone in the industry should familiarize themselves with these terms.